Low maintenance living at it&apos;s finest. 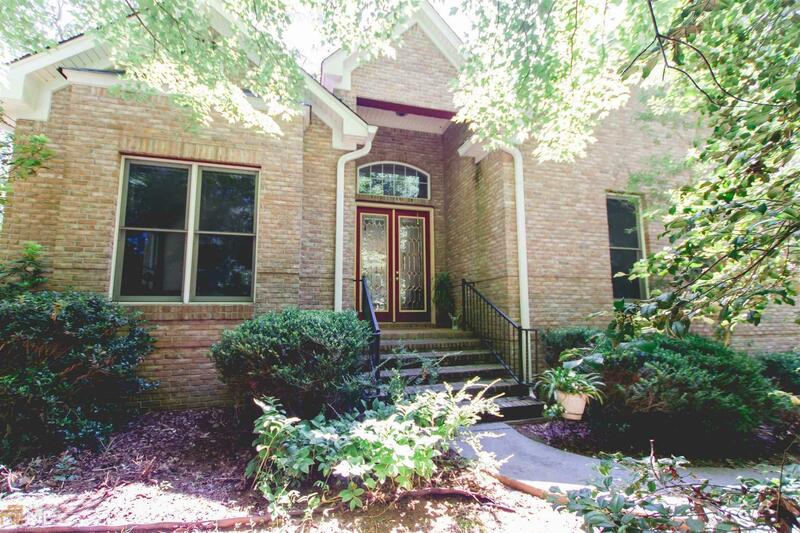 This all brick 3 bed, 3 bath home sits on a private 2+ acre lot in the desirable Copper Ridge neighborhood. Home features include: hardwood floors throughout, high ceilings, large windows, gas fireplace, light & airy master, walk-in closets, sun room AND 200+ feet of pond frontage. Fish or kayak in your backyard. Property also includes a 24&apos;x36&apos; greenhouse with electricity, cooling, and heat. Grow your own vegetables/plants or convert it to a large workshop, garage, or guest house. Neighborhood has a community park on Chestatee River, and a secure storage area for boats, trailers, etc. Close to Dahlonega, UNG, and GA400. Directions: From 400n And Hwy 60 Intersection, Go North Onto Long Branch Road. Continue Straight Onto Coppermines Road. Turn Left Onto Copper Ridge Drive (Copper Ridge Subdivision). Turn Right Onto Riverview Trail East, Continue To #374 On The Right.